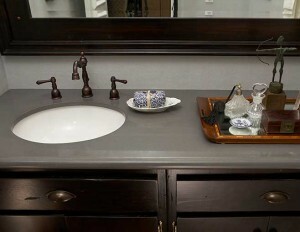 Concrete countertops have become really trendy in the past few years, and it is easy to see why. It is a versatile material that can be used to create a multitude of shapes, and can be colored in many different ways. There are many problems with concrete countertops such as that they require a skilled concrete craftsman to make, they do not tend to be as smooth as other materials which makes for a messy cleanup and they could potentially go out of style. Concrete countertops also are prone to stains if there are any flaws in the sealant, acids from citrus and cleaners can destroy the seal on the material, and they must be waxed serveral times a year in order to protect the finish. 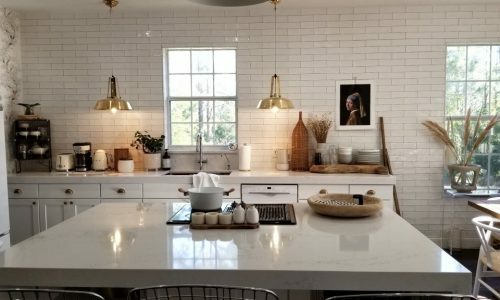 One of our quartz material suppliers “Caesarstone” offers an amazing quartz alternative to concrete countertops which is an engineered quartz that simulates the color and texture you get with a concrete countertop. Since quartz countertop materials are non-porous they will not stain, and there is no need to reseal or apply wax every few months. The material is non-porus, it is the ideal material for rolling dough on the kitchen countertop. 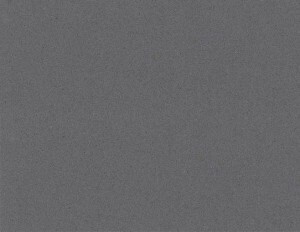 There are several colors and textures of the quartz that resembles concrete countertops from dark gray to very light gray. Looking for more information about Quartz Countertops? Visit the Quartz section of our website. For more information about our quartz suppliers, check out our list of popular quartz countertop brands.